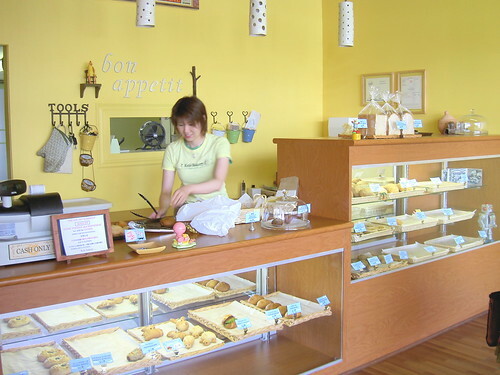 We went to a Japanese bakery called Keis Bakery. 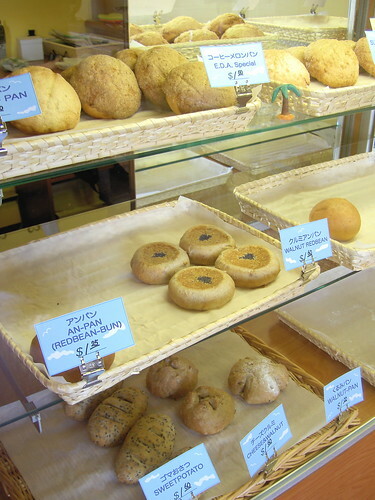 There are lots of Japanese breads. Red bean bread, Melon bread, bread with custard cream, bread with curry. Walnut red bean bread was deliccio. The shop sellers served us nicely with smiles. My question is what is the animal in front of the octopus? A caterpillar? ☆Mrs. K, did the shop seller eat the fin? Right, fins. I didn’t notice they were missing. ☆Mrs. K, I called the shop to know what it was. It was pretty embarassing actually. 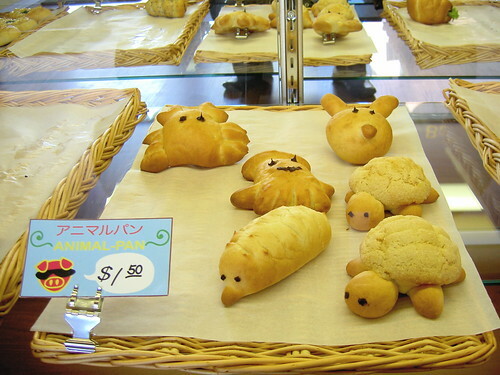 “Excuse me, could you tell me what the long catarpiller look like animal bread is?”, but they said we don’t sell such animal! I have to take the photo to the shop next time. Grrrr. I stumbled upon your website while searching for info about the Kingyo Izakaya. Love your blog! It’s quite a cozy cafe. I didn’t know about “Masa’s a la carte”. I visited their website and their menu looks hmmmm yummy. I really want to check it out sometime soon. Thanks for introducing it to me! Wish I could read Chinese so that I can read your blog. Nice blog. I’m glad our students’ work is being recognized in lots of interesting places! The food at Masa’s is in fact very tasty! ☆iam, oh I see, one of your students designed Masa’s website. I am looking foward to visiting Masa’s.